Maybe its just me – but sleep seems to be in the spotlight these past few years. Namely, how a person can get good sleep. You can certainly tell when you don’t get enough and (sometimes) when you’ve had too much. But the lack of it can affect all aspects of our lives. I’ve had my own issues with sleep (and my wife will say that I continue to with the snoring she details in the morning). After having put on some significant weight, I developed sleep apnea. You probably are aware of it – but it’s when your airways close down (muscles loosen) to where you stop breathing during sleep. It’s a potentially dangerous affliction if left untreated. I wore a breathing apparatus for years which helped immensely. Almost felt like a different person! Soon after, I was able to shed some weight which seemed to alleviate the apnea symptoms (but this seems to be back after years of slower weight gain). All this to say – sleep is important. And there are many companies popping up to address poor sleep. Chief among these are new mattress companies. Seems like there is a new one popping up every few weeks! 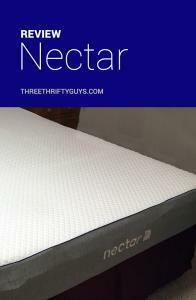 Recently, we were contacted by a new(er) mattress company (Nectar) to try-out their offering. Since my wife and I had purchased a mattress just a couple years ago, we asked my mother if she was in the market for a mattress. Since her mattress was going on 30+ years (yet, in surprisingly good condition) –it was probably time for a new one. Our friends at Nectar sent her out a new one that arrived in just two days. The whole mattress is rolled up in a larger cardboard box. It’s heavier, but when you open it up, it is wrapped in plastic. And when you start removing the plastic (carefully), it starts to “inflate”. Nectar says the mattress will fully take shape in about 24-72 hours, so its not recommended you sleep on the mattress the night it arrives (though this is what my mother did and it worked out okay). One thing I was astonished by was the lack of off-gassing. I was expecting it to be more prominent, but there were virtually no smells. My previous mattress was about 30 years old and to relieve the firmness of the mattress I’d added a mattress topper as I’d awaken every morning with body stiffness. The first night I slept on it, it seemed too firm for me so I put my mattress topper on it again. Several days later, I removed the topper and the mattress felt very good. I’ve slept well since and have not experienced any body stiffness. I think it took about 72 hours to fully inflate and I did not notice any odors from the mattress, which I appreciated. The mattress isn’t as high as my other mattress so would need to get new sheets to fit properly. I did notice I didn’t move around as much as I did on my other bed. Over all, I was very pleased with the Nectar. Given Nectar is a memory-foam mattress, it is designed to form to your body and support it. There are advantages to this which many believe lead to better sleep. It comes in only one level of firmness – what they call “medium firm”. Basically it’s not too soft or too firm. As far as sizing, you can choose from King, Twin, Twin XL, Full, Queen, King or Cal King. When they are on sale, none of their mattresses are more than $1k. Forever warranty (for as long as you own the mattress)! 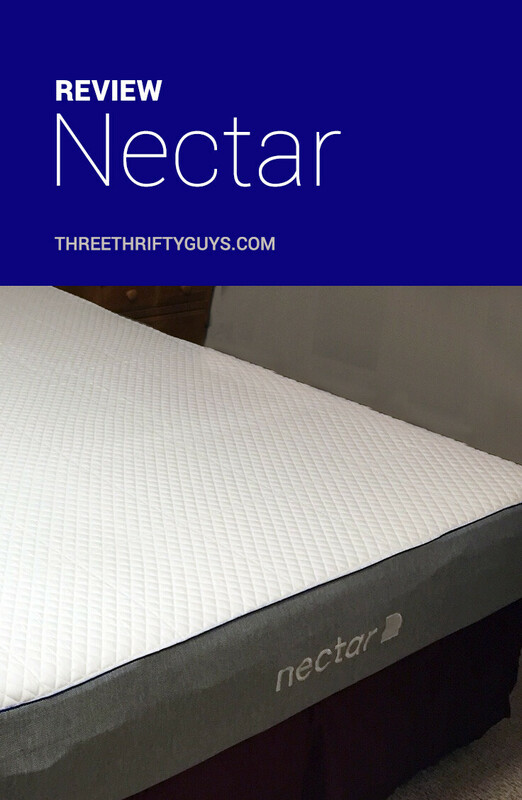 If you are in the market for an affordable, easy to assemble, guaranteed bed, a mattress like Nectar may be just what the sleep doctor ordered. Have you tried out their mattress OR other memory-foam beds like Nectar? Update 2/8/19: $125 off plus two free pillows – ($275 Value). Nectar offers a 365 DAY TRIAL! If you’re not in love, they’ll take it back, no questions asked. Disclaimer: TTG did receive a mattress in exchange for a review of this post. All opinions expressed are our own. We also may receive commissions if purchases are made via the links on this site – at no cost to you. 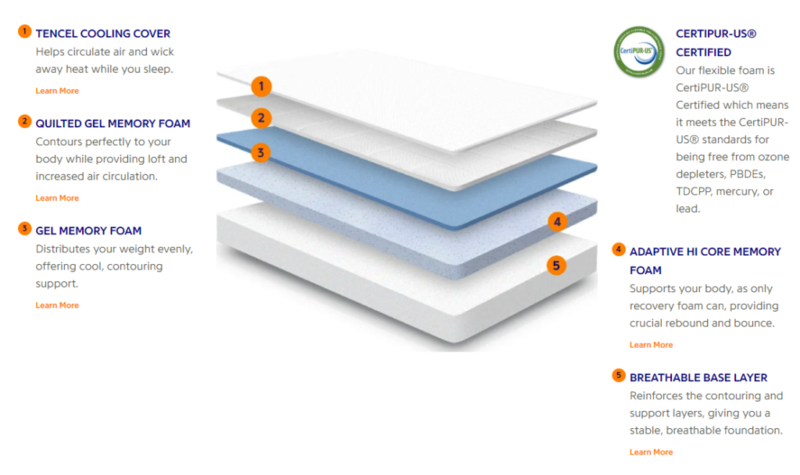 Saatva Mattress Review – Is It a Good Mattress?